What's Wrong with Twitter - and How do You Fix it? Much has been made of the doom and gloom surrounding Twitter in recent months. There's the sliding share price, which hit a record low point just a few weeks back. There was the drawn out process of searching for a new CEO, then settling on an old one, which raised the eyebrows of many. And there's the question around slowing user growth, with the platform's audience expansion falling well short of analyst expectation and estimates. And while overall revenue has continued to rise, that, too, is now projected to be lower than anticipated moving forward. The pressure of such developments is obviously taking a toll - just this week, Twitter's announced that several prominent members of its executive team will be leaving the company, signaling yet another period of adjustment and re-alignment. So what does this all mean? Does this spell the end for Twitter as we know it? Do all these changes point to a takeover, as many have suggested? For what it may (or may not) be worth, here are my thoughts on where Twitter is at and what they could do to improve on some key fronts. One of Twitter's key problems has been data control. While other social networks, like Facebook and LinkedIn, operate walled gardens where their user data and insights are restricted from public view, Twitter is, by design, the opposite - virtually everything posted to Twitter is available to anyone who wants it. That's how it has to be - Twitter's the 'global town square', the place where people go to participate and add their insights into the wider, global conversation, people use Twitter as a real-time pulse of the issues and happenings of the world, and to have their say on those very same issues. But the problem with this is that Twitter's data is being used by an ever-growing number of third party providers for mention monitoring, share of voice analysis and other forms of tracking, much of which Twitter has little control over and gains little revenue from. And what's worse, some of these platforms actually reduce the need for users to visit Twitter proper, as all the data and insights are provided within these other platforms. That then reduces Twitter's capacity to monetize that audience - and as noted, user growth, both in terms of acquiring new users and time spent on platform, is a major concern for the micro-blog giant. To combat this, Twitter's been restricting access via their APIs. They've actually been doing this for years, trying to implement some form of control over their data feeds and get people back to their platform more often. The biggest recent example of this was the decision to eliminate share counts - while Twitter explained this as a system change (which may well be true), the perception was that Twitter eliminated share counts in order to push more people towards paying for their data from Gnip, Twitter's data arm, thereby enabling Twitter to a) make money from their data and b) get people to use their own platform instead of going elsewhere. Whether that is or isn't the case, it would clearly benefit Twitter if they could get more people to use their platform instead of gathering tweet-based information and insights from other providers. The whole social media monitoring industry is effectively built on Twitter, it's logical that the company would want to ensure they're getting a cut of the revenue generated in that space, and to leverage that attention to expand their audience share. Here's the thing - Twitter has access to all the data and information used to fuel these third-party analytics tools. Twitter actually has access to more insights on this front and can implement more ways to manipulate their data and find the signals amidst the noise. So why not use them? In effect, Twitter can provide their own versions of every monitoring, tracking and tweet search tool on the market - and their versions would likely be better, as they're coming direct from the source with access to the full range of tweet data. Twitter should take note of the applications and tools that are generating significant use and develop their own alternatives, variations of the same functionality built into Twitter's own analytics dashboards, thereby giving users less reason to go anywhere else for the same insights. So long as tweets remain, in the majority, public - and as noted, by design, Twitter will always be an open network - Twitter won't be able to fully control how their data is being used. Better to either work with the third party providers for best benefit - for users and the company - or look to build better tools to beat feeder companies at their own game. Imagine if Twitter had a Topsy-like search functionality built into their official analytics platform? Imagine a Nuzzel type tool, a TrendsMap. All of these tools generate (or generated, in the case of Topsy) significant use, all of them are fuelled by tweets. Surely it would be of more benefit for Twitter to be offering better, 'official' data tools within their own system, bringing users to their platform instead. The concern could be that such tools may undermine the value of Gnip - but these alternative options available now anyway, people can use these third party tools already. Rather than push the developer community away, Twitter should be working with them and using them to help find ways to better utilize and showcase Twitter data. Such innovations can help the company develop better tools and services, and better ways to build an all-encompassing, on-platform experience. One of the biggest, and rising, criticisms of Twitter is that the platform has become a haven for spam and junk, to the point of being useless as a news and information source. Spend any time on Twitter and you'll see this; people who connect with you just so they can hit you with spam messages via DM; automated bots tweeting out the same, promotional messages over and over again; link-dropping that's so repetitive it becomes totally meaningless. Check out the stream linked to any trending hashtag and you'll see dozens of off-message, spam tweets with the associated hashtag tacked on, trying to hijack attention. It's annoying, for sure, and a side-effect of the platform's popularity, but can it be stopped or negated somehow? Twitter, for their part, has tried to combat this - the development of their new Moments product came about because Twitter wanted to showcase the great content of Twitter without the clutter of the junk. Through Moments, users are shown the most relevant, real-time tweets on certain topics and issues, as chosen by Twitter's editorial team. Not a bad idea, but the solution also offers its own problem - what's important to Twitter's editors may not actually be important to me, so while I'm getting a more refined stream of content on a subject I'm interested in, minus the spam, I'm also not getting comments from my friends and the people who's opinions I might care about. Without that level of personalization, Moments is not as effective. Social media is about being social, about two-way connection and connectivity. As such, users expect to have their own input taken into consideration and factored into their experience - it's an expectation being built by Facebook's algorithm which learns from our on-platform behaviors. Taking the capacity for individualized experience away, in any form, is a step back. What Twitter needs is a way to filter the tweet stream to uncover the most relevant content, as defined by each individual users interests. Lists are currently the best way to do this, but Twitter doesn't want to promote lists too heavily because they don't have as much advertising potential as your regular tweet stream (I use lists pretty exclusively and I can't remember the last time I saw a sponsored tweet or ad in a List stream). So what then? An algorithm? A Facebook-style algorithm has been proposed for Twitter feeds, and Facebook's clearly had success with this approach. Over time, Facebook's gradually trained its users on how to improve and refine their News Feed to make their on-platform experience more relevant to them - which is actually how Facebook's been able to take audience attention away from Twitter, because now, with the Facebook News Feed attuned to the topics and content most relevant to each user, more and more people are using Facebook as a news source, where they would've once gone to Twitter for the same updates. So would an algorithm work on Twitter? One thing's for sure, people wouldn't be too happy with only seeing some of the tweets posted by people they follow. That's no different from Facebook, of course, and over time, Facebook's been able to show people how not seeing every single update from every one of their connections can actually improve their on-platform experience. But initially, people were angry about that change - and given the rapid pace at which tweets flow by, users would no doubt prefer to maintain control over the tweets they see, and whom they see them from. And really, this brings us back to lists. Rather than implementing a whole algorithm, Twitter could just better educate users on how to use lists to filter the noise - they'd just need to incorporate more ad content into list feeds to boost their value, which wouldn't be a huge change. But then again, while highlighting lists might help filter the noise for current users, it won't do much to help non-users or work to solve the issue of stalled user growth. One of the key aims of Moments is to highlight to new users why they should be using Twitter, that there's great, valuable tweet content hidden amongst the noise. In this application, neither improved lists nor an algorithm would do much to improve Twitter's current situation, as they have to be on the platform in the first place to realise any such benefit. So how do you reduce the noise-to-signal ratio of the Twitter experience in a way that'll also appeal to both new and existing users? I know what you're thinking, Twitter already does this, right? Well not exactly. Twitter does already have both Trending Content and 'Who to Follow' tools, but they're not targeted. Or at least, they're not to the levels at which Twitter could focus them. Twitter needs to use its data insights to better personalize the experience for each individual user - this is what Facebook does, and Twitter has enough data to do similar. But rather than focus on filtering the actual tweet stream (like Facebook's News Feed), Twitter should focus on utilizing its data to make its trending topics and follow recommendations irresistible for each user. That's a pretty generic listing - I've got little to no interest in pretty much all of those. And I'm a very active Twitter user, Twitter could easily infer from my on-platform activity what I'm actually interested in. 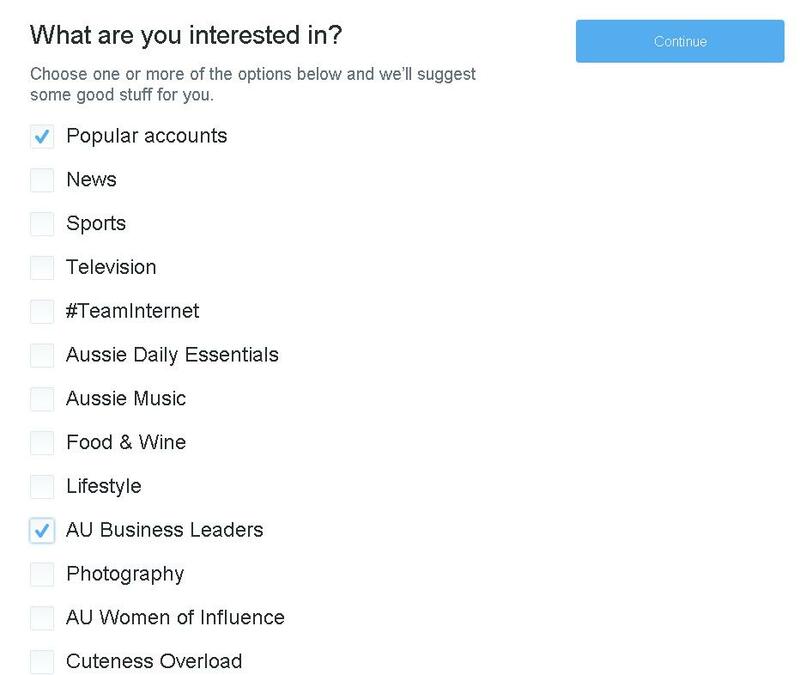 Personally, I don't know that I'm interested in any of them, but I selected 'AU Business Leaders' here because it's closest to my main topic of interest on Twitter, which is social media marketing. There were 40 listed. I would've considered following two of them. Maybe. You do also, of course, have the option of adding connections from your contacts list, but that's becoming less relevant considering the way more and more people are using Twitter as a news and information source, as opposed to a way to stay in touch with friends. And those two, really, are your only options, then you have a feed of 'interesting content', as defined by Twitter. Not very targeted, not attuned to user preferences. And Twitter wonders why users aren't all-in from the outset. What's frustrating is that Twitter has way more ways to work out what you, personally, are interested in, and way more data points to utilize in making your Twitter experience more individually relevant. How do I know this? Because I can get much better recommendations on this front from other apps that are actually built upon Twitter data. 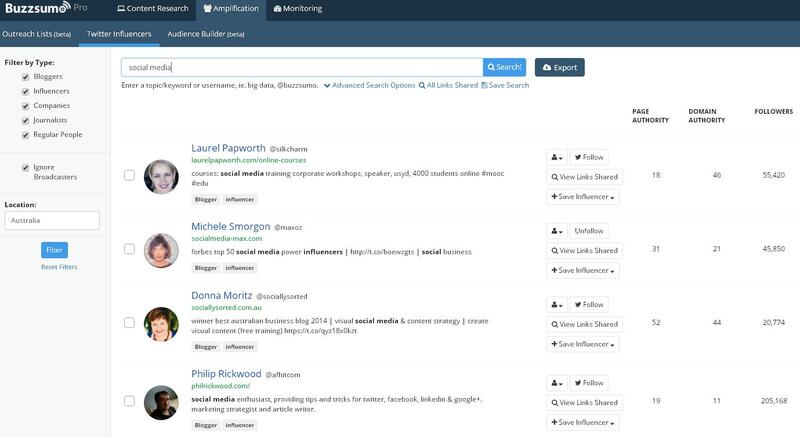 For instance, what if, instead of a random 'Who to Follow' listing, I could actually locate and select users likely to be of most interest to me, like I can in BuzzSumo. As you can see, in BuzzSumo, I can enter in 'social media' as the topic, with 'Australia' as my location (on the left), and straight away it's given me a much more relevant listing of recommendations on who to follow than Twitter itself has ever provided. In fact, even if I look up 'Business' in BuzzSumo (again with 'Australia' as an additional filter) the listing is more relevant. 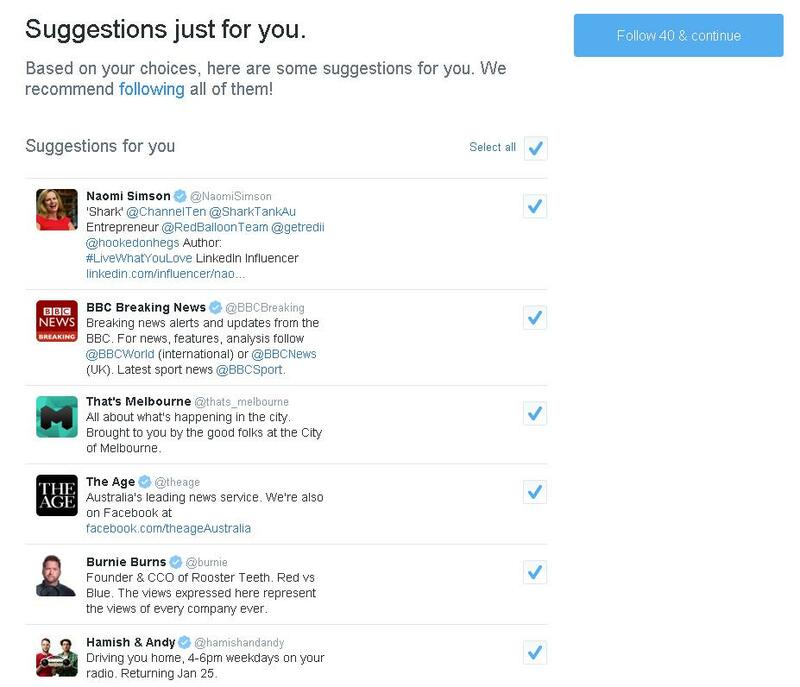 And this is entirely built upon Twitter's own data - these recommendations come from info within Twitter. Why can't Twitter better focus their 'Who to follow' listings in the same way, and/or give new users the option to nominate topics of interest to them, rather than a tick a box list? 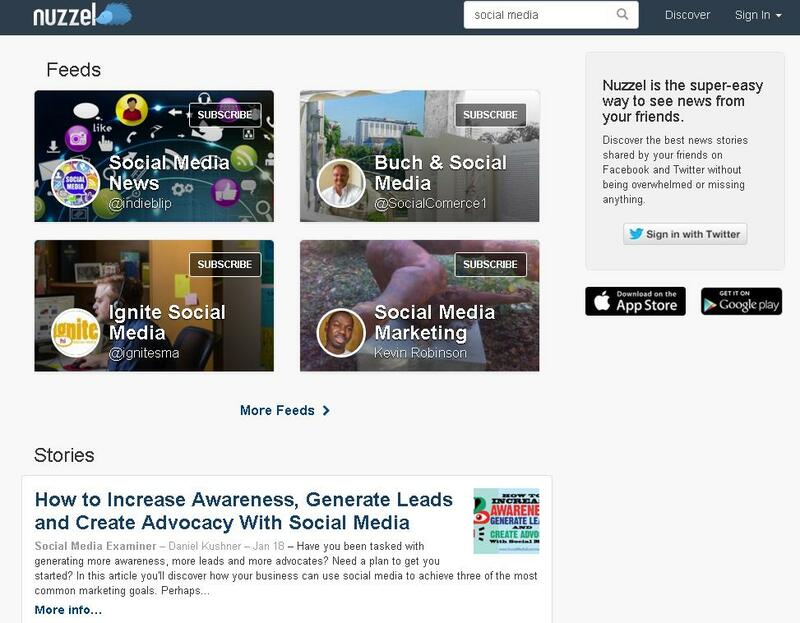 And that's before you've built your own following and network on Twitter - once you've done that, Nuzzel actually highlights the most shared content from within your own network, making it even more targeted. Recommendations like these are far more relevant to me than the generic trending topics - and even if you did want to include overall trending issues, make it a new tab, give users the option of a personalized listing of most shared and discussed topics, based upon their interests and activities, as well as a general one - or even various options separated by tabs (and excuse the rudimentary image editing work). Twitter is the most powerful communications tool of our time. It shows everything the world is saying rn...10-15 minutes before anything else. If that's true, then prove it. If Twitter is, as per Dorsey's recent speech at Twitter's Flight conference, made 'for the people and by the people' and is, 'the fastest way to see what the entire world is saying about any topic', then use that data and insight to build better matches for recommendations on topics and who people should be following. There are 500 million tweets sent per day, more than enough insight to formulate intelligent correlations and patterns - if 80% of the people who follow Person X also follow Person Y, then that remaining 20% will probably like Person Y too, right? But then base those recommendations not only on follower counts, but on actual interactions and responses, on how each person, individually, interacts with others within the network. The aim should be to make trending topics and 'Who to Follow' recommendations impossible to ignore - so much so that no user is able to resist clicking on them. The more enticing those matches are, the more people will stick around, and the more useful the platform will be - and that's the key education point for new users. 'The more data you provide us, the more customized and relevant we can make your Twitter experience' - then build a system that learns individual relevance over time. And then there's the issue of user growth. While the above noted smarter recommendations will, I believe, help in this regard, there's also the matter of getting more people to care about Twitter in the first place, particularly in the case of younger users. There's no one solution to boosting Twitter's audience appeal, it's going to require a range of targeted, intelligent moves that will keep the platform front of mind and keep people coming back to check out the new features and options. Here's a couple of ways the platform could look to bring in new audiences (and in some cases already is). Integrate Periscope Entirely into Twitter - Recently, Twitter announced that Periscope content will now autoplay in Twitter feeds. That's great, that's a big step for both Twitter and Periscope individually, but I think they should go a step further. Periscope should be integrated entirely into the Twitter experience. By this, I mean no more Periscope. Periscope would just become another tool within the tweet composition window - you want to do a live-stream, you do it on Twitter. Why would that help? Because Periscope's audience is building, their platform has grown to more than 10 million users watching the equivalent of 40 years worth of video content on the platform every day. Why not have all that engagement on Twitter? That would get more audience to the platform and enable Twitter to show ads to those users - why filter those people off to another app when Twitter would work just fine as a host for such content? By enabling all users to stream direct from their tweet composition window (as they'll soon be able to do on Facebook) you'll encourage more users to try it out. And while you'd be losing the live-stream content-specific platform of Periscope, where people can go to watch live content, you'd still be able to build a similar platform within Twitter, keeping more users on site for longer. Live-streaming's growing, more people are looking to utilize the option to share their message. Having Periscope streams distributed through Twitter is a good move, but integrating Periscope entirely into the Twitter experience is a better one for the parent company's goals of user growth and on-platform interaction. In that sense, it's not as big a deal as you may, initially, have thought - and when you consider that there's an increasing number of people who're now screen-shotting text and attaching that to their tweets in order to circumvent the character limit anyway, it makes sense for Twitter to implement such an option to give more users tools which are aligned with how they're seeking to use the platform. You don't like it, don't use it, but some people will, and it could increase engagement among some user groups. In practice, your the text in your tweets will still change color when you go over the 140 character limit, it's just that rather than that text being cut off, it'll be included behind a 'show more' option, and because of that, most people will stay within 140 characters anyway to ensure their message displays properly within the tweet stream. There's also one other advantage for Twitter. More text in tweets = more contextual data, info which Twitter can then use to better personalize and improve the user experience - which, as noted, is a key element that needs to be updated. I suspect this'll come into effect sooner rather than later. Pay More Attention to International Markets - Okay, Twitter does actually make good efforts in international markets, but oftentimes new releases and tests are exclusively conducted in the U.S. That makes sense, America's where Twitter is based, but it may be of benefit to give some other regions more access to exclusives to boost attention and awareness within those regions. U.S. audience numbers have flat-lined, international audiences continue to grow. 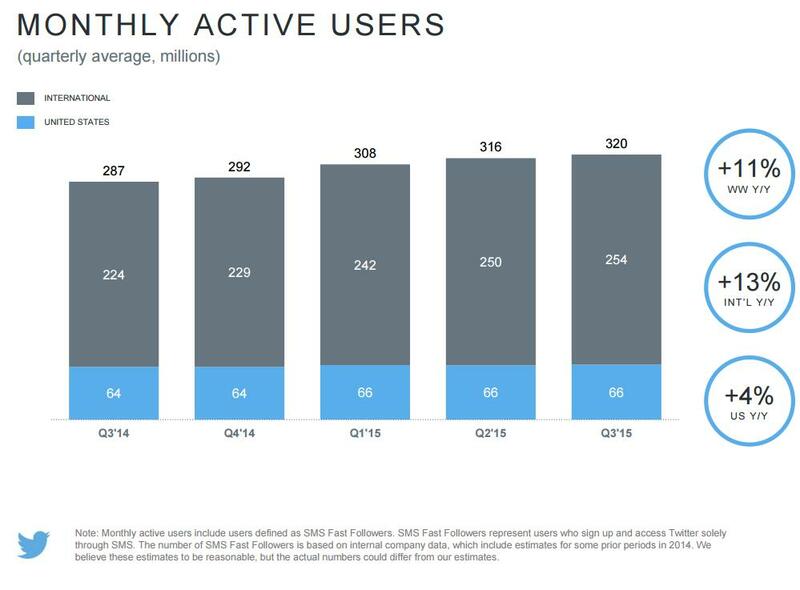 It makes sense for Twitter to put more focus on the markets where they are seeing growth - which, as noted, they do, but they could highlight more specifically. On this front, Twitter should also consider building a 'low-fi' version for emerging markets, where data access isn't as freely available. Facebook's going to dominate some of these new areas via internet.org - Twitter needs to get on board where they can. Focus on Customer Service - Twitter's already working on this too, and when you consider that 80% of customer service requests on social are coming via Twitter, it really is an area where the platform needs to place major emphasis. Facebook's already coming for them on this front, introducing new call to action and Page messaging functions to get more customer queries coming through Facebook, so Twitter needs to put in the work to highlight to all business owners why they need to be on Twitter. 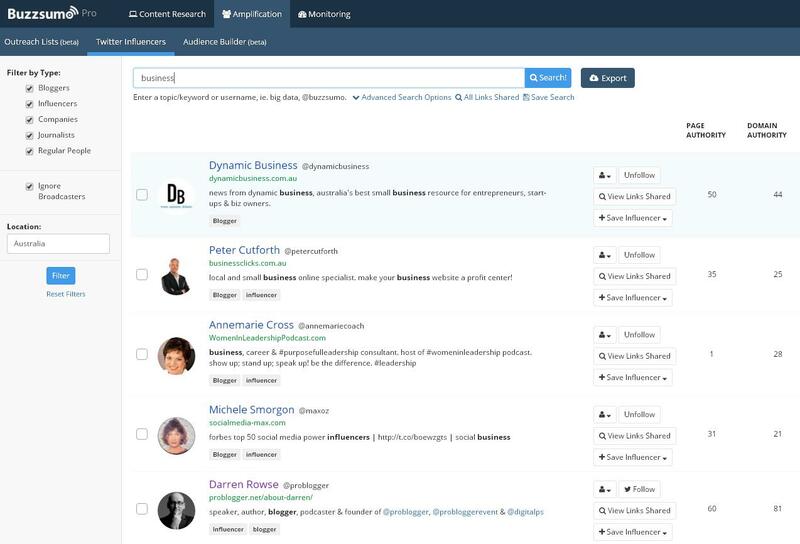 Why not send out individualized data on Twitter mentions to businesses? "Here's an example of how your brand is being discussed on Twitter - time to act". Messaging like that, specific to each business contacted, you'd think would be effective (and maybe this type of outreach is already happening), but building/improving/evolving customer service options on the platform is key. Add GIF Search In-Stream/New Emoji Features - When new messaging app Peach was released recently, one of its standout features was its in-stream emoji search, which lets you look up and add a GIF to your message quickly and easily, and without leaving the app. 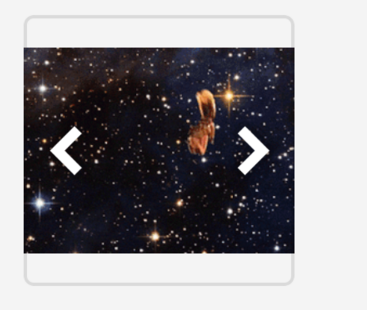 That functionality would fit perfectly into Twitter - imagine being able to search Giphy for GIFs to append to your Tweets more easily. It also works with the wider GIF and animated content trend, which can only help boost Twitter's appeal among younger users. Along that line, Twitter's also, reportedly, experimenting with a new emoji response option to replace the 'heart' for 'Like' (itself recently changed). Both of these additions would work with the wider trends of using graphics in text communications and could significantly boost engagement. 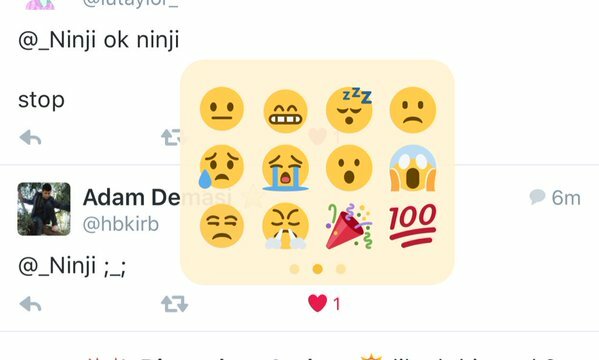 Twitter's already pretty active on the hashtag emoji front, and emoji are being used more and more on the platform. Just as with longer tweets, better facilitating the actions of a significant proportion of users can only be beneficial, and new tools get more people talking, and thus, more people coming across to Twitter to check them out. 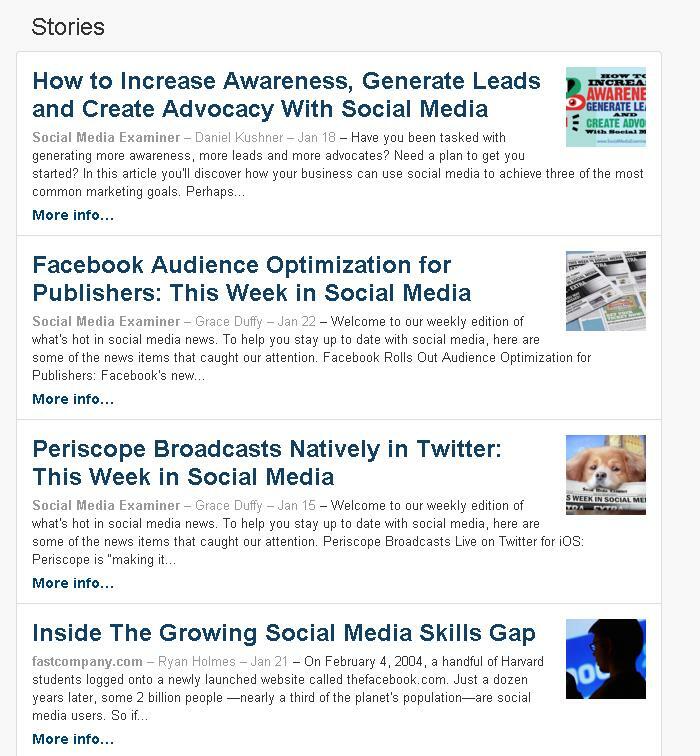 Highlight the Strength and Value of Twitter Data - Twitter should be seeking to have every media outlet on every major story referring to Twitter data in their reports. Why would they do this? Because Twitter is the real-time pulse of the world, Twitter can uncover trends and predict outcomes (as Jack Dorsey says) 10-15 minutes before anyone else. As such, Twitter needs to be taking the opportunity to highlight this strength and showcase why the platform is so valuable. If more people were considering Twitter in this regard, if more people were seeing reports saying, essentially, 'you need to be on Twitter, it's well-ahead of everywhere else', more people likely would be active on Twitter. It's somewhat theoretical, and there may not be an easy way to do this, but Twitter needs to showcase its strength on this front. These are just some of the many ways Twitter could look to boost awareness of tweets and get more users to the platform. And, of course, I'm an outsider, I don't have any internal insight into how difficult these would be to implement or what might actually be in place already. But these are some options Twitter could consider to help build the platform, turn around general perception and get it back on track. I personally believe in Twitter as a transformative communications tool, and I think it can maintain its position as a key source of news and insights. Hopefully, in 2016, we see the tides start to turn.